“Pokémon Go is great for society” say many, as people get out of the house, get some exercise, socialize in the real world, walk off cliffs and get hit by cars. Yes, it sounds absolutely awesome! In all seriousness, there do seem to be real benefits of getting people away from sitting 12 hours a day staring at screens (since they can take their screens with them on the go). The social aspect brings people together under common goals and interests. However, will Pokémon Go have long term, lasting benefits or will people tire of it as quickly as it exploded into the world? Augmented reality (AR) headset technology such as Microsoft Hololens or Magic Leap launching in the (hopefully) near future will certainly improve immersion an interest in games like this as well as new ways to interact with and learn about the world. 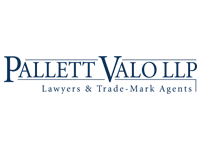 Until then, virtual reality (VR) technology can provide exceptional levels of immersion and create lasting, impactful benefits to society; and it’s available today! The Oculus Rift and HTC Vive launched earlier this year. 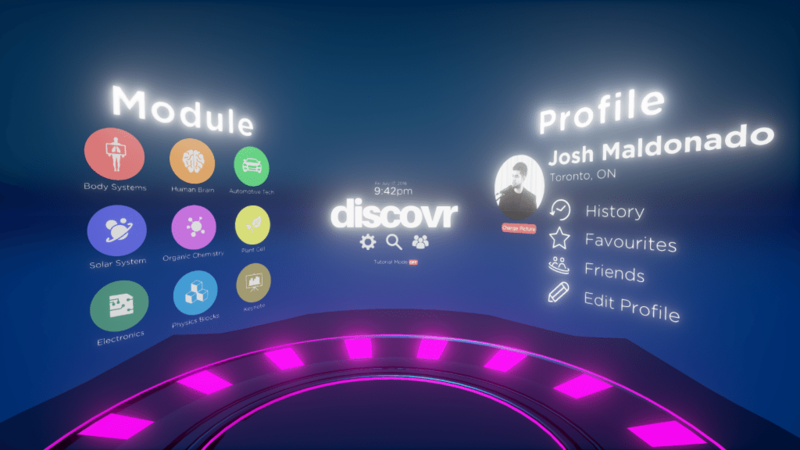 While the majority of companies within the VR industry are focused purely on gaming, local Mississauga-based tech startup Discovr Labs is developing high quality VR content which is engaging, compelling, immersive, fun, limitless, and dare I say it, educational. Google has already made big bets on VR for education with Google Expeditions, which is basically 360o video of interesting places students can passively watch and experience using Google Cardboard viewers. 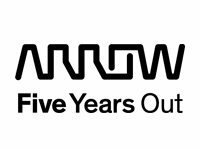 On the other hand, Discovr Labs is creating a truly interactive modular educational platform where students or lifelong learners can pick up and examine ancient artifacts, dissect a human body or fly through the solar system. These are just a few examples, but the experiential learning possibilities are endless as content can be crowdsourced and added to the platform. 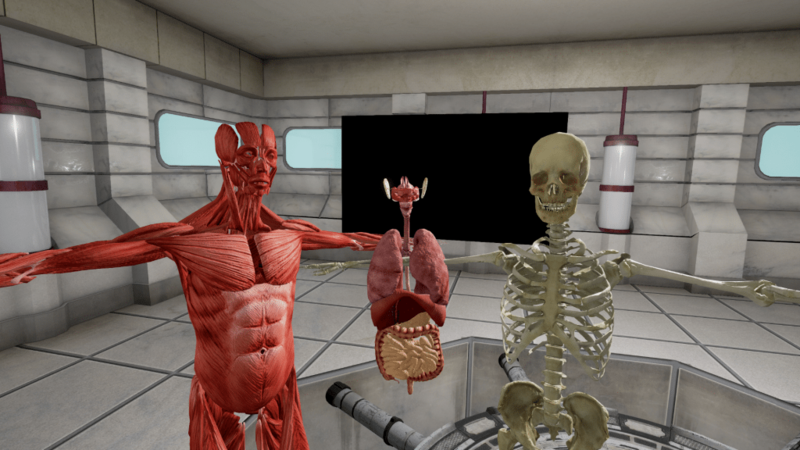 Not only is this great for self-directed learning, but Discovr goes beyond this by allowing instructors to create lessons within the VR environment, recording their voice, movement and gestures in real time. Instead of students having to go to the classroom, Discovr brings the classroom to any student, anywhere in the world. Everyone’s had a bad teacher, right? It’s incredibly hard to learn when they present boring and unenthusiastic material on black and white 1980’s style overhead projector slides, and chicken scratch on chalkboards. With the Discovr platform, users can choose who they learn from, including high profile professors, celebrities and global thought leaders who can demonstrate concepts in all the glory of a 3D immersive environment. 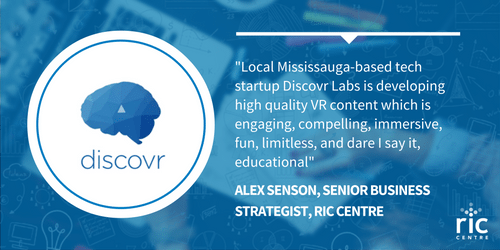 Within the RIC Centre Incubator, we are helping Discovr Labs create the next generation of world leaders and experts by making education fun, hands-on, engaging and compelling through the widespread adoption of VR technology as a core educational tool. For the AR enthusiasts out there, Discovr Labs is making their platform fully AR compatible as well. While Pokémon Go and similar games may come and go, education will always have a prominent and critical role in society. It’s our job to ensure the masses remain interested in learning, despite all the distractions out there competing for a piece of each individual’s valuable attention. Think you have a compelling technology that RIC Centre can help you with? Register to become a RIC Centre client to see how we can help you grow your business.